In 1592 Japan invaded Korea, managing to take control of the Korean Peninsula. Undaunted, Korean admiral Yi Sun-sin got busy, building a tiny fleet of “Turtle ships” to defeat the Japanese. 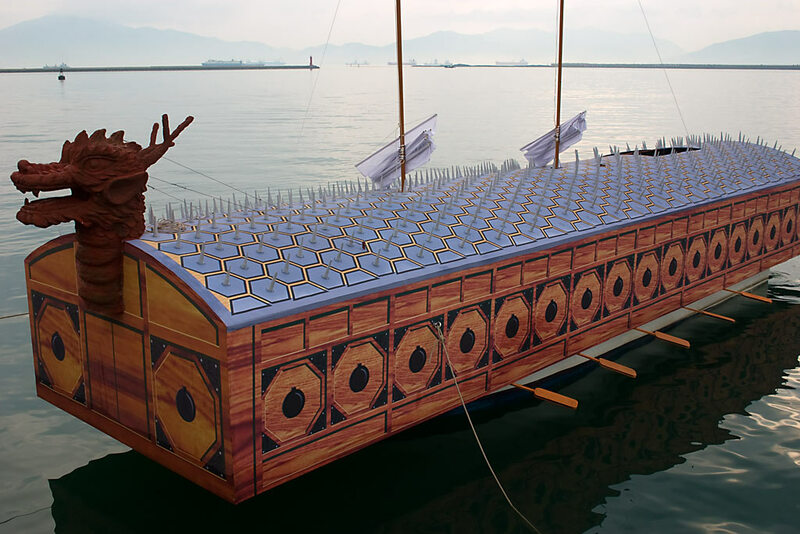 Completely enclosed with a reinforced “shell” of iron and thick timbers, turtle ships were studded with sharp iron spikes to prevent the enemy from jumping aboard. With rowers, sailors, and cannons safe beneath an impenetrable shell – Korea sent Japan packing; in one battle alone, 12 turtles said goodnight to over 125 Japanese ships. Like the “Little Engine That Could” , perseverance and ingenuity prevailed against all odds. History is littered with accounts of great battles; from the Battle of Marathon between the Greeks and Persians in 490 BC, to Waterloo, and Stalingrad – battles have shaped history. Battles were won or lost based on strategy, cunning, and leadership. Great generals, military strategists, and good old fashioned ingenuity have been replaced by computer models; followed by “shock and awe”, black ops, drones, and sniper fire. I don’t advocate war, but do ponder the outcome of conflict if left in the hands, good or bad, of the Pattons, MacArthurs, and Norman Schwartzkopfs of this world? I admit to having some difficulty properly expressing this ponder. With zero experience, and little military knowledge to back this up – a thought crossed my mind and I’m going with it. In no way intending to offend or make light of heroic contributions by our soldiers, my observation rests instead on the manner in which war is approached. It seems to me that plans are made inside high tech towers, thousands of miles from the battlefront. In decades past Generals on the front lines would have been household names. Today, I honestly can’t recall the name of a single Canadian or American commander on any battlefront; I can however say that more American soldiers have committed suicide on American soil after returning from war in the Gulf and Afghanistan conflicts, than were killed in action. I know Canada has dubbed the 401 in Ontario the “Highway of Heroes” to honour soldiers killed in Afghanistan. I wouldn’t wish the horror of ancient battles, the first, second, Korean, Vietnam, or Gulf wars on any soldier; I simply ponder how technology has altered the playing field. Once upon a time there was a leader on the ground who cared about his men, using ingenuity and bravado – whatever it took to get the job done. Those men still exist, yet we hear nothing about what they’re up against. Instead it’s all about the “air strike”, missile fire, and drone attacks. Pardon me but if I were in the thick of it, it would really piss me off.